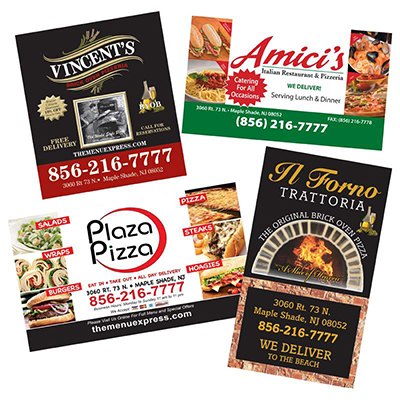 The Menu Express Printed Magnets. Give your customers an easy way to find your phone number. They'll stick it on their refrigerator and see your number every time they open the door. Put your business card on a magnet, a must for any service oriented business. Great for sports team schedules and calendars. To request your quote for Magnets, simply complete this form!